Stakeholders attending the water quality meeting to review the past two years results of eco-monitoring for pesticide run-off. Attending were extension personnel, area retailers, producers, Syngenta reps and Plymouth/Blue River NRDs. 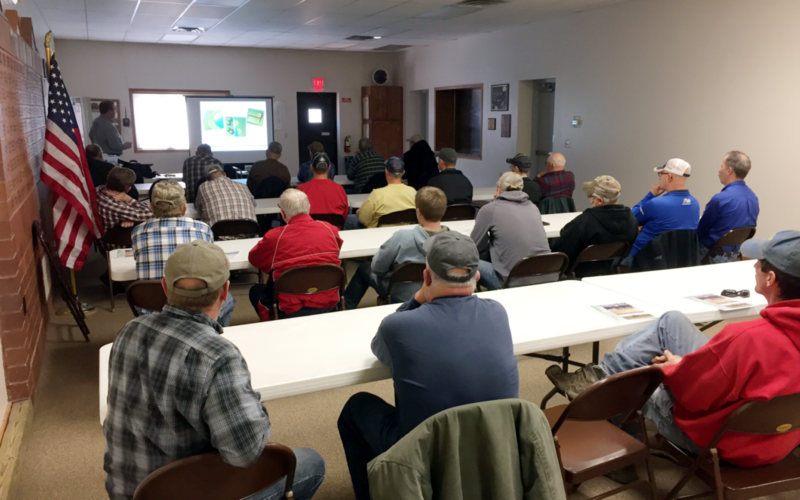 Thanks to all who attended the December Water Roundtable meeting and enjoyed a presentation by Senator Curt Friesen. If you were unable to make the meeting you can view the presentation below. Join us again in January!